Take a challenge at Broken Arrow Golf Club, a Chicago golf treasure in far southwest suburban Lockport. Broken Arrow features shared greens with dual pins. The greens are massive, so each hole plays differently with either pin placement. Broken Arrow Golf Club offers 27 holes, with an added 9 holes par-3 course to the west. You can enjoy lunches or dinners in the dining area and you can have all types of events here. Weddings, corporate events and social events will fit in the banquet hall. The course is broken into three main golfing areas. The East Course is considered to be the most difficult and will be a challenge for everyone. The beginner may find it very challenging and will be the most difficult of the three sets of tees. The North course is the most scenic and has something a little different. It has dual greens for both the beginner and experienced golfer. There are lush woodlands that surround this part of the course. The South Course has historical landmarks, seven ponds and 22 bunkers. There are plenty of challenges for all players. It’s beautiful and challenging for every golfer. The West course is a special par 3 course with nine holes. This is a great place to practice or bring the family for a night of entertainment. 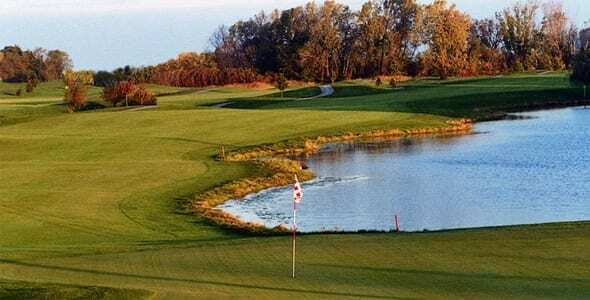 Check out Broken Arrow Golf Club with new golfers or take the challenge with your experienced foursome – it’s worth the trip.